Unfortunately, I cannot offer any more "particulars" of the incident at this time. 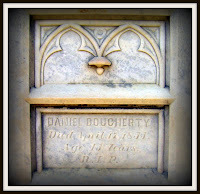 I can tell you that Mr. Dougherty was laid to rest in Oakland Cemetery at Atlanta, Georgia. Also memorialized on the same monument as he is Patrick Connely (d. 1851). 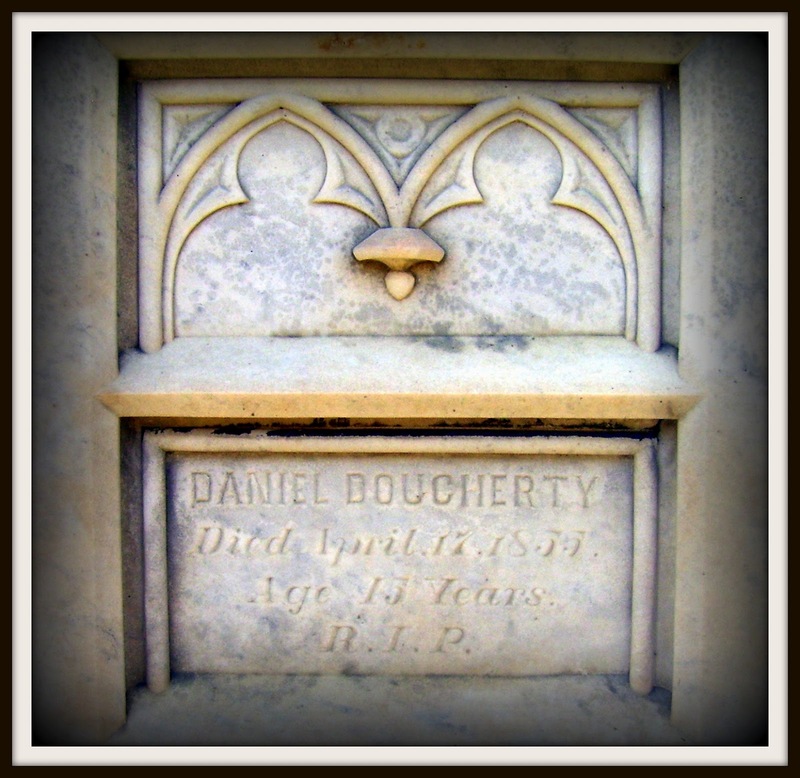 Online family trees suggest this was Daniel's father-in-law. The monument is extraordinary, massive, and beautiful. And, I somehow cannot find a photo of it as a whole in my personally photographed files. Thankfully, Paul, Karen, and Katherine shared a nice shot with FindAGrave. If you come back tomorrow, you'll find a pretty close up I took of the top as the Wordless Wednesday post.